If you like clay pots then this craft is a great one. This surfing monkey is so adorable. It makes for a great kids craft or a gift. The little monkey tail makes me smile. Note: Let dry between steps. Use sponge brush Petunia Purple to paint pots. Use sandpaper to round out edges of Styrofoam. 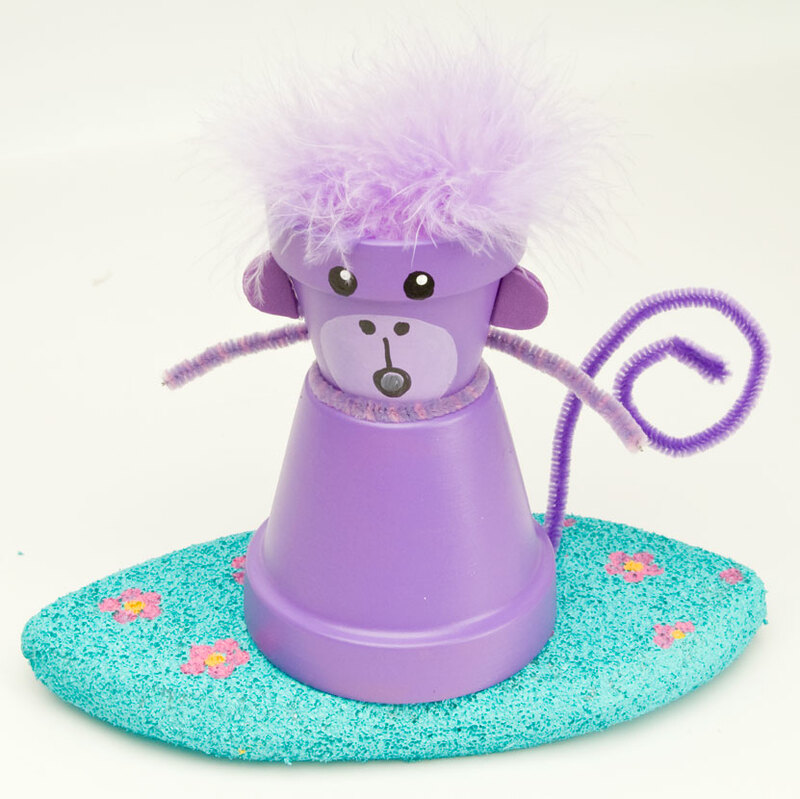 Mix a little Cloud White into Petunia Purple and paint monkey's muzzle. Use liner brush and Wrought Iron Black to paint eyes, nose, and mouth. Use brush handle and Cloud White to dot highlights on eyes. Position and adhere head and tail on body, and ears and boa "hair" on head. Twist second chenille stem around neck for arms. Use brush handle end and Azalea to dot flowers on surfboard. Dot flower centers with Fiesta Yellow. Position and adhere monkey on surfboard. I love this, but what size clay pots?